As spring and summer approach, many pet parents are gearing up for much-needed lawn maintenance. Many problems were probably caused by Fido – destructive digging, jumping, and going potty take their toll on grass yards. Most homes aren’t what pet parents would call dog-friendly: low fences, exposed dirt to dig up, and potentially poisonous plants. A dog friendly backyard is a must-have for any pet with high exercise needs! Spending time outdoors is great mental stimulation, preventing depression in dogs and other mischief-making behaviors. Create a low-maintenance backyard fit for a dog with inspiration from these outstanding examples. Get even more dog friendly backyard ideas on our Pinterest! 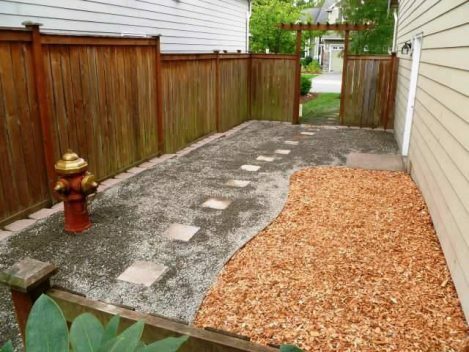 Complete with fire hydrant, this simple backyard is paradise for any pooch. Down to Earth Landscaping in Bellevue, Washington, designed this canine-friendly creation, making-over an existing yard. Mucky mud was replaced with gravel for better drainage, while dog friendly cedar chips brighten the area and make for an easy potty area. Add a water feature for aquatically-inclined pets! Let Fido go off the deep end with a small jumping area and easy access in and out. Dog pools and ponds can be as crazy as you want; use a cheap play pool as an in-ground pool, or dig out a pond in your yard. 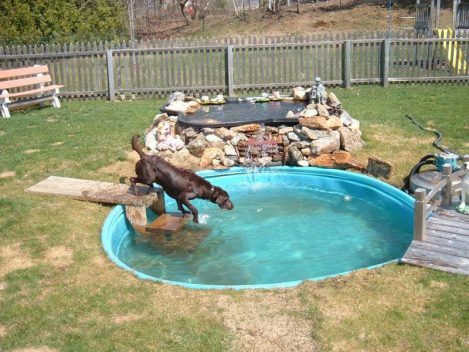 A DIY dog pool is the perfect project to start before summer starts. Image via PetPeek Fence Window on Amazon. Does your dog love to watch the world go by? Indulge your pet’s habit of spying on the neighbors with the PetPeek Fence Window. 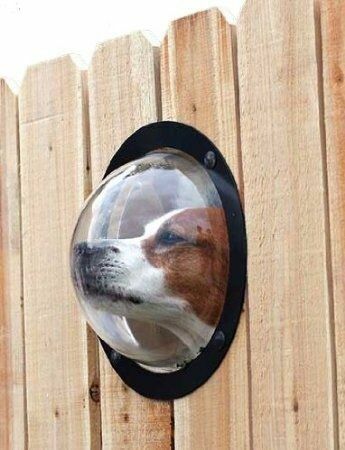 Or DIY a clear porthole by inserting a plexiglass bubble or panel in your fence. 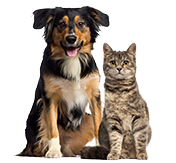 Being able to see his or her surroundings can reduce pets’ separation anxiety and prevent destructive behaviors like digging. 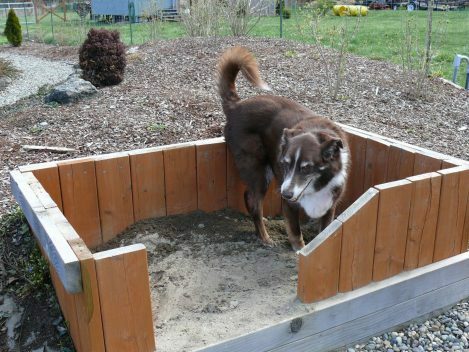 A dog sand box can serve one of two purposes – potty patch or digging heaven. Designating one area for bathroom business protects grass and lets you step safer in your yard. If your pet’s a champion digger, put a small fence around the sand box to keep dirt where it belongs. 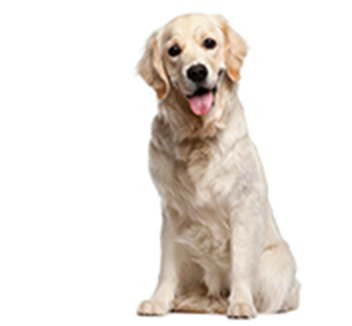 Healthy Paws Pet Insurance covers up to 90% of vet bills for your dog—don’t miss out! Image via Allen Mandell / Sunset magazine. Dogs who dig are some of the most destructive. Prevent escape artists and destructive diggers by placing a rock or brick border around fences. Another method involves burying chicken wire in the soil under the fence. 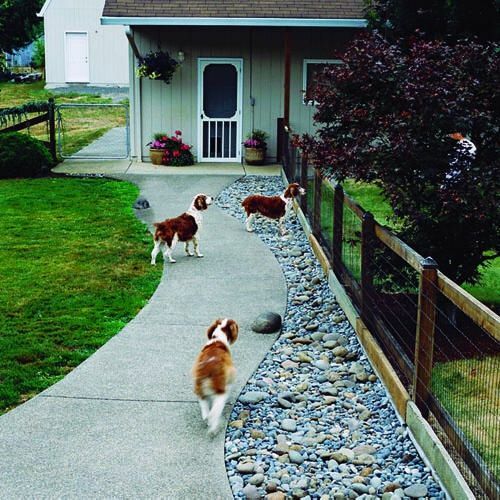 River stone and rock gardens are attractive ways to prevent your dog digging under the fence. This classy log cabin is a must-have for the outdoorsy pet. Although this particular dog house is a custom job, there are plenty of amazing dog houses available online or for custom design. Another option is to design and build your own dog house from scratch! 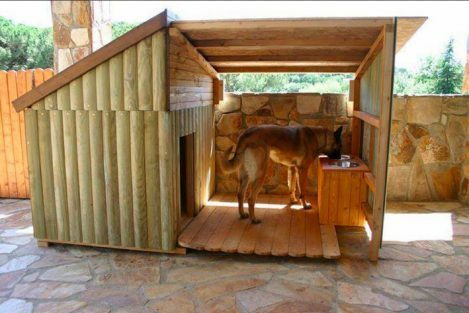 There are tons of DIY dog house blueprints on Pinterest and many books, too. Image via Humane Society of West Michigan. Perfect for the pet parent with space to spare, a dog obstacle course is at the top of every pet’s wish list. If your pup is into advanced dog training, create the perfect canine Crossfit gym in your own backyard. 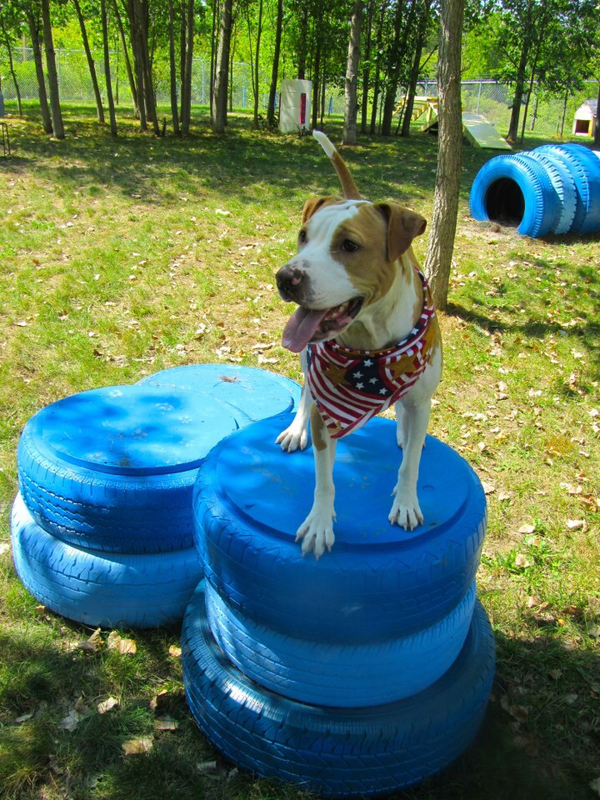 A dog playground doesn’t have to be expensive equipment; in the photo above, old tires are used as tunnels and climbing equipment for playful pooches. Use PVC pipes, scrap wood, trash cans and more – after a coat of paint, everyone will be praising your ingenious DIY. Image via A Tail of Two Dogs Doggy Daycare. 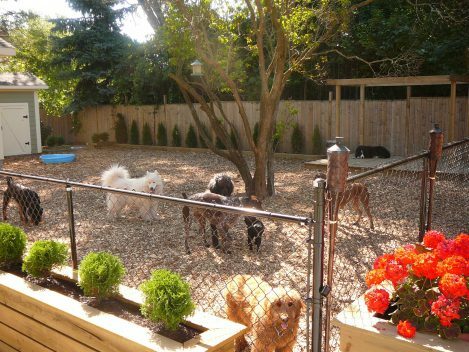 If you have a multi-dog household or have a lot of doggy playdates, build a small dog park in your backyard! Low maintenance bark, a play pool, and shade are what pets need to have a good time with friends. Build your backyard dog run on an existing fence, such as a corner, to cut costs.